With mobile gaming expected to make up about half of the $152 billion gaming sector in 2019, it is a key area of focus for the major players in tech. Snapchat is planning to launch a dedicated gaming platform that will give developers the opportunity to create games for use in-app. Snapchat’s younger demographic will allow it to make the most of the gaming content through increased revenue opportunities from in-game purchases and advertising. Facebook is introducing a dedicated gaming tab in the main navigation bar of the mobile app. 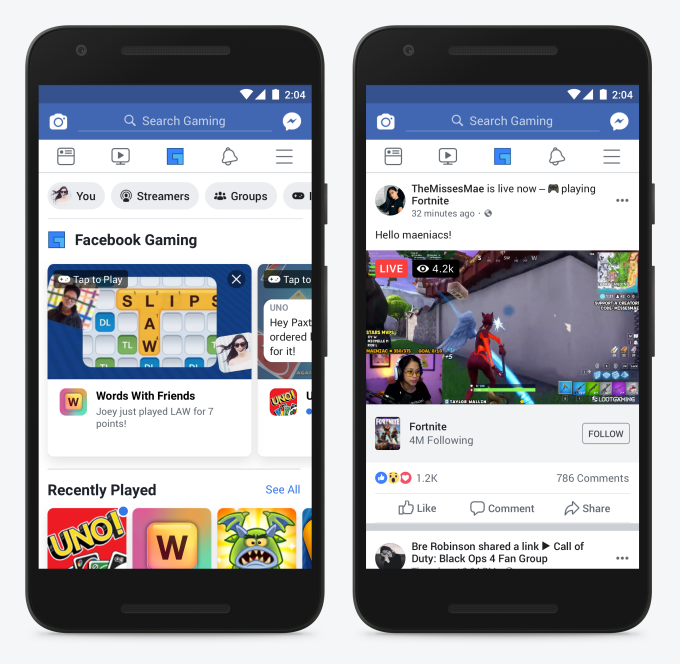 This move from Facebook comes after last year’s addition of the Gaming Creator program which allows users to live-stream gaming. Last week, Google announced that it has taken down more than 2.3 billion ads that violated Google’s ad policies. The company introduced 31 new ad policies that address abuses in areas such as cryptocurrency, bail bonds, and addiction treatment facilities. Google is also launching a new policy manager that will make it easier for advertisers to create and launch compliant ads. A report from Oberlo highlights some key stats that show the importance of video content in the area of social media marketing. On Twitter, tweets with videos see 10x more engagement than those without. On LinkedIn, users are 20x more likely to share a video on the platform than any other type of post. Additionally, demand for video content is on the rise with 54% of consumers looking for more video content from a brand or business they support. Reddit is testing out a tipping feature to reward content creators and empower users on its platform. Currently, only one subreddit has the feature and only one user can receive tips. During this test run, Redditors subscribed to the group can offer a cash tip by clicking a “tip” button that appears on all of the user’s posts. While only a small number of experiments become actual features on the platform, Reddit is always looking to enhance the user experience. The team at Internet Archive is caching Google+ content prior to its April 2nd shutdown date. The archive won’t include any content that was deleted or made private prior to the archival process. While its unusual to archive a social media network that failed to gain traction, it definitely fits the mission of the Internet Archive of online content preservation.